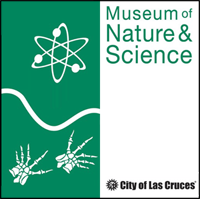 The museum and the New Mexico Academy of Science is pleased to present a talk by Dr. Thomas Schmugge of the New Mexico Water Resource Research Institute on Wednesday, October 8, 2014 5:30pm, at the Museum of Nature and Science. In the state water budget the biggest components are precipitation and evapotranspiration, which are very difficult to assess on a statewide basis, particularly for our sparsely populated New Mexico. This is especially true of evapotranspiration because of the difficulty in measuring it on the ground. There are several approaches to estimate evapotranspiration using remotely sensed data to augment the ground network of rain gauges. Dr. Schmugge will discuss these approaches and their startling results.